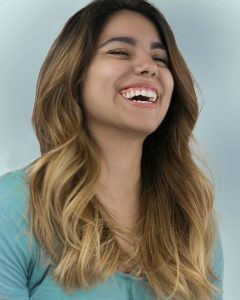 Modern tips for achieving healthy hair. 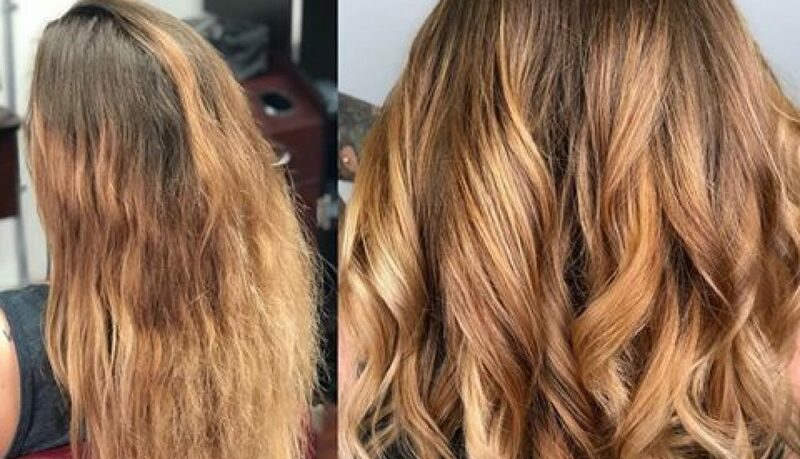 Blow Drying: Dry it off, not out! Most people blow dry their on a regular, sometimes daily basis. There is a blow dryer in every household, and a wide variety of dryers to choose from. Most people are not following the best practices for this tool, simply out of a lack of education. Here I will give you an introductory blow drying education, teaching you how to use a blow dryer and how to understand the technology. Here’s a look at what went into designing new bow dryer technology from Dyson. The tools you use to dry your hair have changed. Why hasn’t the method changed? Well it has. However, most stylists have not. This means you haven’t changed the method you use at home to dry your hair. If you remember my washing hair blog then blow drying education the next step for you. Modern blow dryers don’t need to be excessively hot to dry your hair more quickly. They borrow from the heating and cooling industry and use physics to speed things up. Most new blow dryers will have the word “ionic” written in the box somewhere. But what does that mean? Well the negative ions produced by your dryer go about breaking clusters of water molecules into smaller and smaller groups. This allows the water on the exterior of your hair to dry faster by blowing away extra moisture in the airflow and evaporating other water more quickly. With less water to dry less heat is needed and you won’t over heat your hair. In theory anyway. 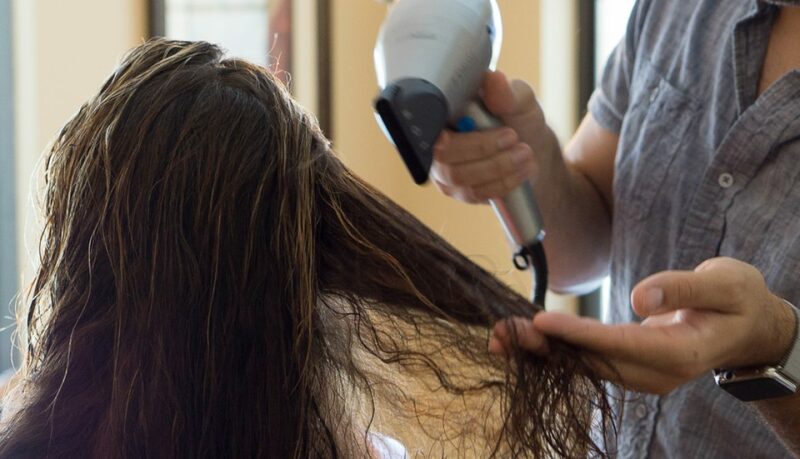 Most people and stylists still go about aggressively drying out the hair the same way they always have except with a more expensive tool. Rather, go easy and use your hands to shake your hair while drying. This will help to retain water moisture within the hair strand making it silkier, shinier and more manageable. Go with the flow…AIR FLOW! Ha! Ahem, anyway, that brings us to the next technology. It is a specific range of wavelengths in the non-visible electromagnetic spectrum. Basically some invisible light. Modern dryers that incorporate ate this technology use it to create “healthy heat.” This happens because the this particular form of light is absorbed by the body and hair then becomes heat energy. This helps to retain the most moisture in the hair and the health benefits, while still being researched could be huge. Look it up. It’s a lot to read though. Math and stuff, ya know what I mean? Consequently, those thermal benefits are great and useless without the proper technique. You will want to keep your hair warm but not hot during the drying process. This is why I always suggest using your hands as much as possible to constantly check the temperature of your hair. This doesn’t mean you wont dry it out, it just means you won’t burn it anymore. You want to work your style to a point of dried off. That is miles different from dried out and can be achieved by stopping when it feels dry but not hot. Use more heat at the roots (the hair here is heather and can sustain more continued drying) and less towards the ends (which are older and more susceptible to damage). Above all else, practice makes better here. 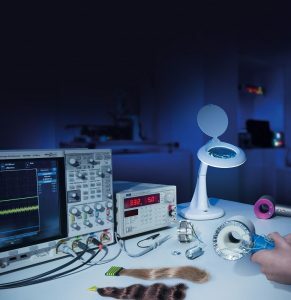 The more you employ these techniques and technologies the faster, easier, and healthier your hair will be and style. And the next time new science makes its way into the beauty industry you’ll be better prepared to change. Most of all, don’t forget to have fun! If you would like a one on one blow drying education lesson, done by Dēroc studio for, located in Cape Coral, FL, offers this as a service! Book your appointment now, or schedule a free consultation to learn more about what we can teach you. Stop buying healthy hair hype and change your routine. When I started in hairdressing, 18 years ago, there were basic and simple ways to try to achieve healthy hair. None of them really worked and were often used as ways to stretch an appointment out because you didn’t quite finish up with your other guest yet. “Let’s put this deep conditioner on your hair. Sit under the dryer for ten minutes,” we would say. This action helped us catch up and certainly came at no cost to you. Now though, it seems there is a charge for everything. Nickels and dimes. How did having healthy hair suddenly require so much more money? Around 2008, clientele started extending the time between visits and I noticed a strong push in my industry for add-on sales. They flooded all of our education and professional trade publications. “Get another $5 out of your clientele with this product/service.” “You can easily charge another $25 for this service.” It was a recession! I can’t for the life of me figure out why we all bought into making people spend money instead of save it. Well, it felt wrong to me and I needed to change it. I know, I know, get to free healthy hair already. OKAY! Healthy hair starts with how you handle it. Like anything, there are things done well and things done great. Practice and experimentation with your cleansing and styling routine will make all the difference over time. If you’ve read this far expecting a product or home remedy with mayonnaise and incense, you can click away now. That’s not happening and it will never work. You will need six to eight weeks to feel the full effect of these methods. That’s not to say you won’t notice an improvement immediately. You will! It will be even better in six to eight weeks though. Got to get it wet! Water moisture is an incredibly important ingredient for healthy hair. It’s surprising how little effort goes into getting that moisture into your hair. Maybe we need to change how you think about washing your hair. I want you to imagine that your hair is porous like a sponge. 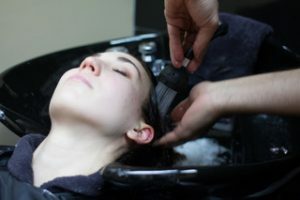 • Compress and squeeze your hair in running water. This will soak the hair through to the medulla. Just like a dry kitchen sponge, it takes some working to soak it thoroughly. • When you feel it become incredibly soft, you have completely saturated your hair. This is the time to wash your hair. Yes, there is a technique to this as well. Most people over wash their hair, causing a loss of essential fatty acids (the other moisture) and vitamins and minerals. Increased color fading can happen here too. • Rub the shampoo over your hands first. Spread it over your palms and between your fingers. This prevents having to much in one place. • Massage into the scalp. Don’t worry about shampooing through the ends of your hair, especially if it is long. This hair is the oldest and most fragile. Its also the cleanest hair. You don’t wash a jacket every time you wear it outside because it doesn’t get soiled by you. Your scalp has all the oil and dirt, so unless you had your hair fall into your pancake syrup, don’t wash the ends. DO NOT rub the ends of your hair together or on top of your hair. This damages and dulls the cuticle layer. • Shampoo works like a detergent. As you rinse, all the cleansing the rest of your hair needs will happennow. This action helps to retain those important natural elements of your hair. • Rinse thoroughly. Get all of it out of your hair always working from the roots to the ends. Conditioners, when they are good, replenish the elements your hair loses. Its important to pack in as much of those elements as possible. • Firstly, squeeze out any excess moisture from your hair. A damp sponge is the most absorbent. Bone dry takes a while to absorb and soaking wet is already full. You want your hair damp here not dripping wet. • Apply the conditioner over your hands and then into the lengths of your hair, squeezing occasionally as you go. Work it in from the ends towards the scalp while always using a detangling motion. • Rinse. QUICKLY! Rinsing for to long will simply remove all of the elements you’ve been working to restore into your hair. If it is squeaky clean, apply again. Your hair should feel slightly slick still. Squeeze out the excess moisture and finish your shower. layer will cause damage and dulness. of the more harsh treatments of styling and battling the elements. • Proceed to styling your hair. Make the change for healthy hair today! If you regularly maintain your hair in a salon, even a little, you will spend hundreds to thousands of dollars every year. And you should! Your hair and it’s style is the only accessory you wear that you can’t take off in a day. It is there good or bad. It can ruin your morning or make an evening fabulous. However, you shouldn’t need to purchase or perform costly actions to “repair” or “rebuild” your hair. You can save all of that money and just start doing the steps outlined above. Over time these steps will become easy to perform habits and your cleansing/conditioning routine will take as long as it always has. Or, you can spend money on snake oil and hope for the best. Over my career I have offered this information to clientele, people in bars and stuck next to me on public transportation. (I talk a lot!) Every single one of them has had nothing but exceptional hair health and simplified maintenance since then. Now I offer this free fix, freely, to you as well. Good Luck! If you would like a hands-on experience of these exact techniques, contact us or book a casual styling appointment. This article was featured in CapeStyle Magazine, be sure check it out and stay connected with our community.